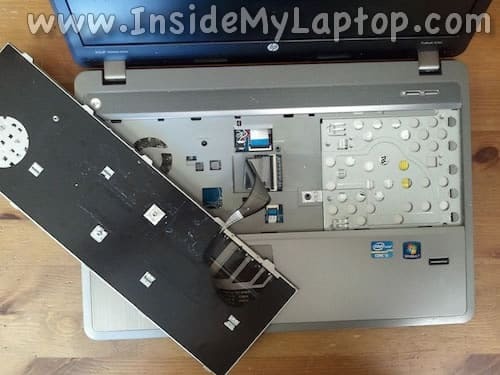 With the following instructions you will be able to disassemble a HP ProBook 4540s. 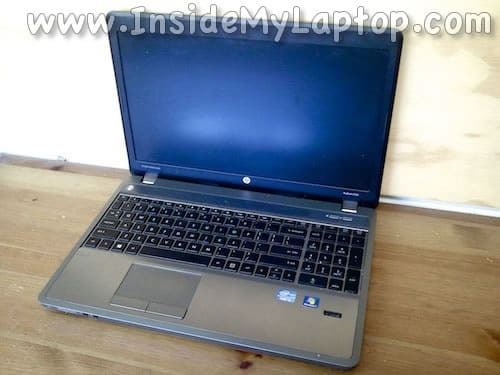 Also, this guide will work for HP ProBook 4440s and 4441s models. 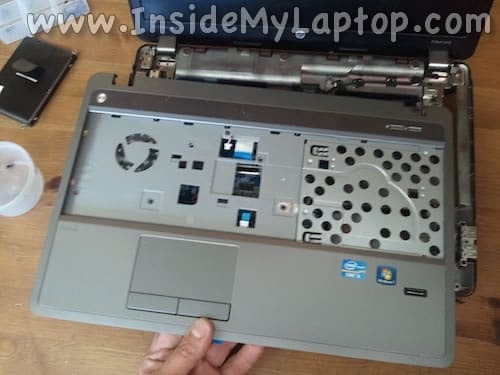 I will show how to open up the case and access most important internal components. Slide two latches towards each other to unlock the battery. Slide same latches towards each other again to unlock the bottom cover. 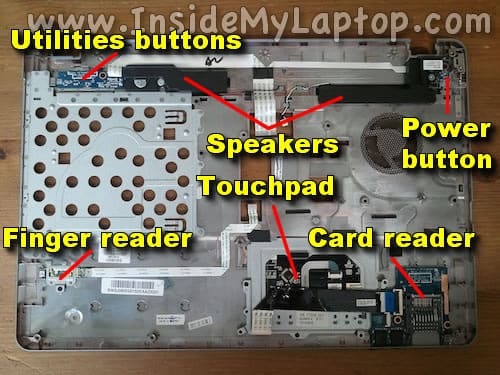 Before removing anything else, I’ll show how to remove the keyboard. 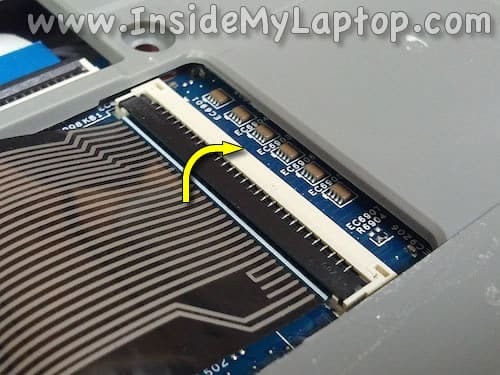 I’ll start removing components located on the bottom in the step 11. 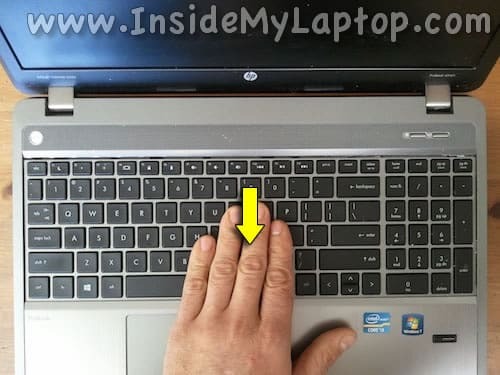 Slide the keyboard towards the touchpad about 3 millimeters. This will free up 5 tabs securing the keyboard on the top. 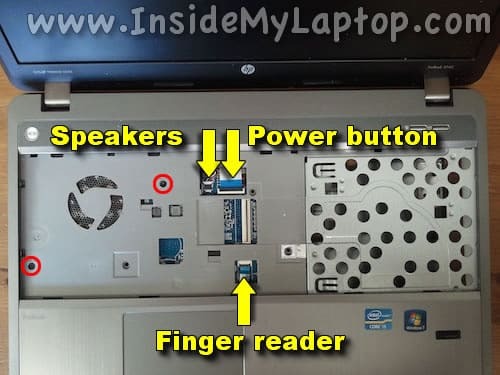 Lift up the top side of the keyboard as it shown on the following picture. Turn the keyboard upside down and place it on the top cover. 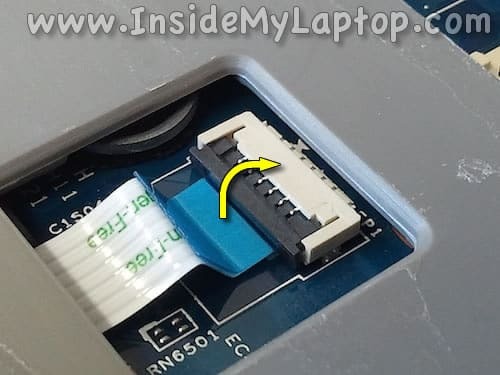 In the following two steps I will explain how to unlock the connector and release the cable. 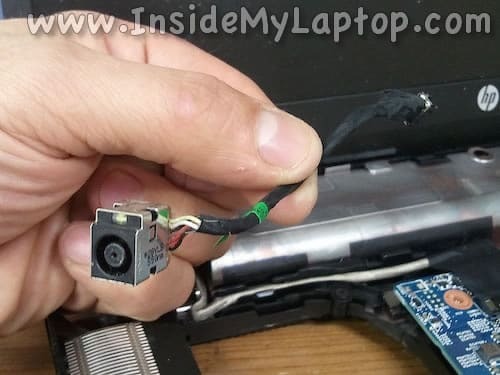 After the connector is unlocked you can pull the cable out. 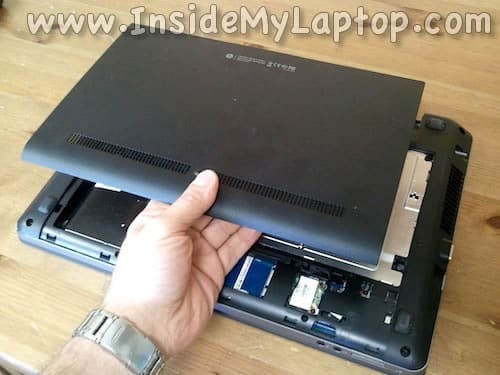 Now let’s remove components located on the bottom of the laptop. 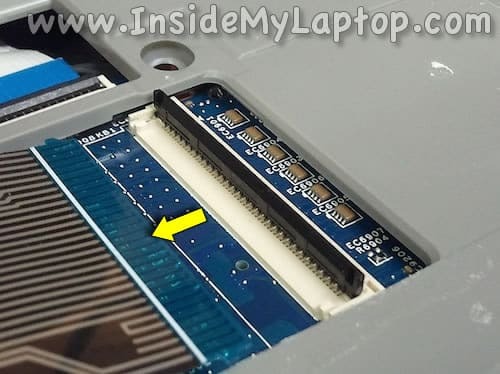 Pull the hard drive to the left to disconnect it from the motherboard and after that remove the hard drive. 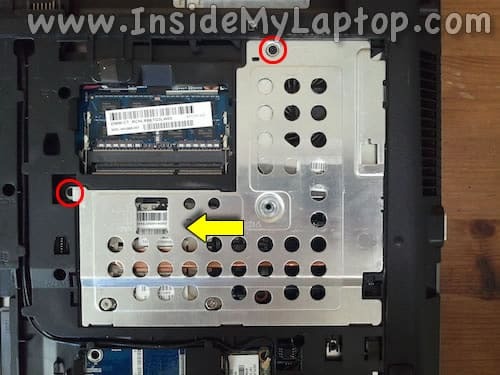 Remove one screw securing the optical drive, pull the drive to the left and remove it. 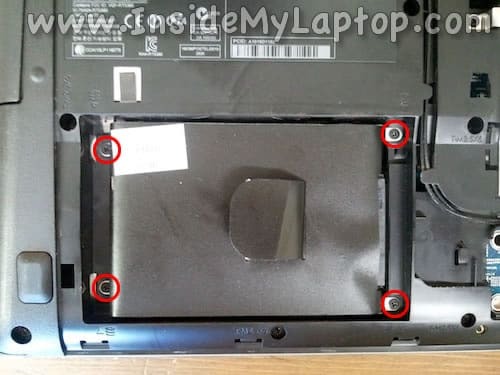 Remove two screws securing the cooling module cover. 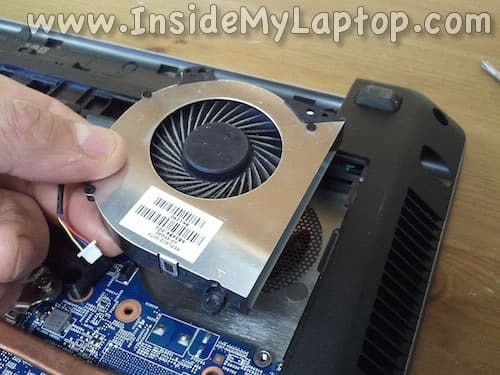 In HP ProBook 4540s the cooling fan can be easily accessed. 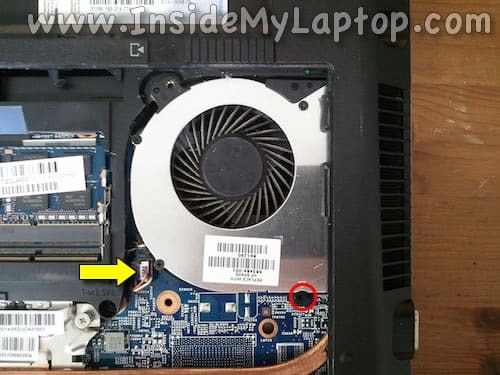 In order to remove the fan you’ll have to remove one screw and disconnect the cable. 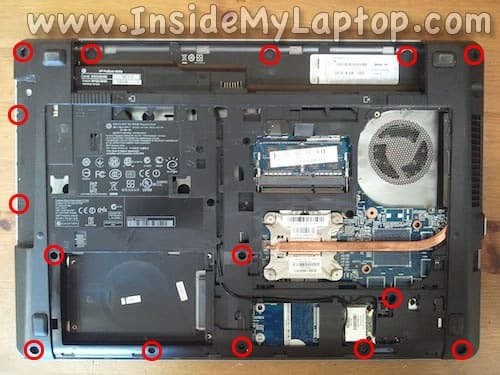 NOTE: the fan must be removed in order to remove the top cover assembly as it shown in the step 25. Now you can clean it up from dust. For these screws you’ll need a regular Phillips screwdriver and T8 torx screwdriver. 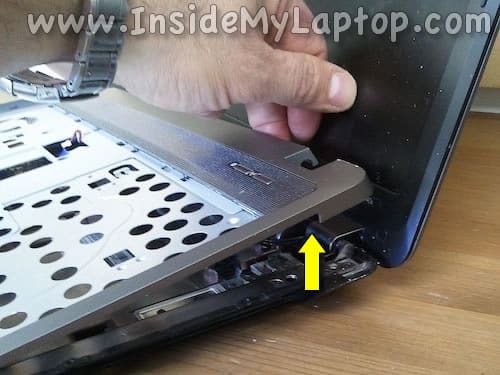 Remove two screws securing the top cover assembly. – Speaker cable (shown in step 21). 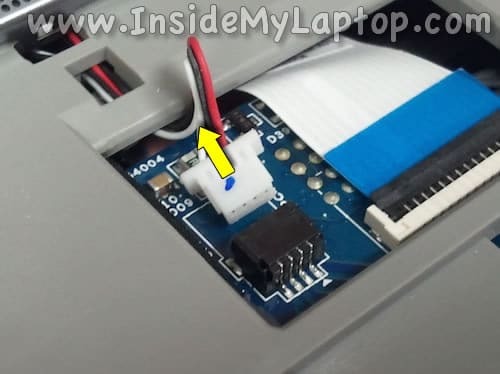 – Power button and finger reader cables (shown in steps 19-20). Lift up the left side of the retainer to release the cable. Unplug the white male connector from the brown female connector. I found it’s easier to remove the top cover assembly if you separate it from the bottom cover on the back first. Insert a guitar pick between the top cover and bottom cover and separate them each other. 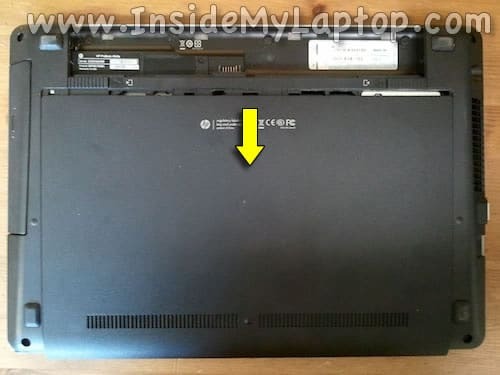 Start removing the top cover as it shown on the following picture. Again, the guitar pick will be very helpful to open up the case. 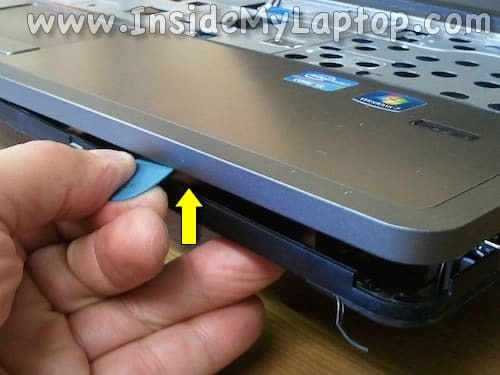 Before you remove the top cover completely it’s necessary to disconnect the touchpad cable. 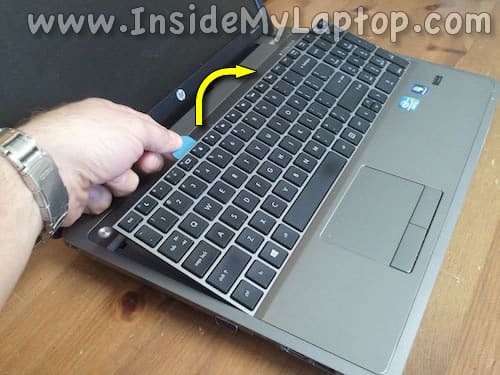 Unlock the connector the same way you unlocked the keyboard connector earlier. 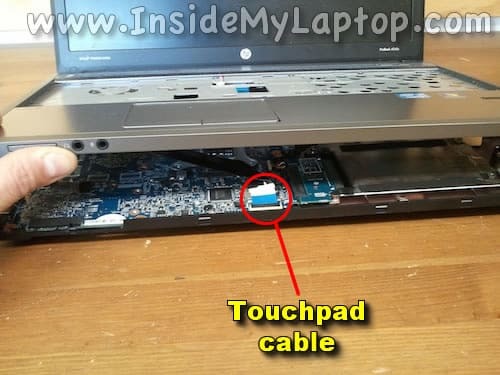 In HP ProBook 4540s laptop the DC jack is attached to a cable. 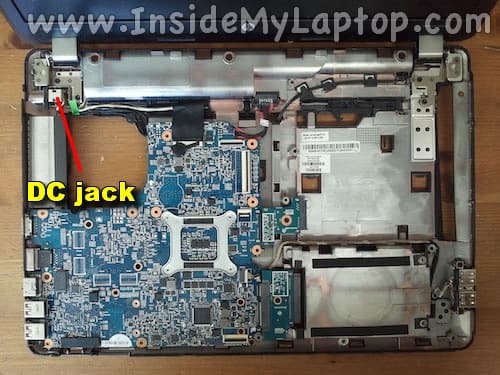 In order to remove the DC jack you’ll have to unplug the cable from the motherboard. 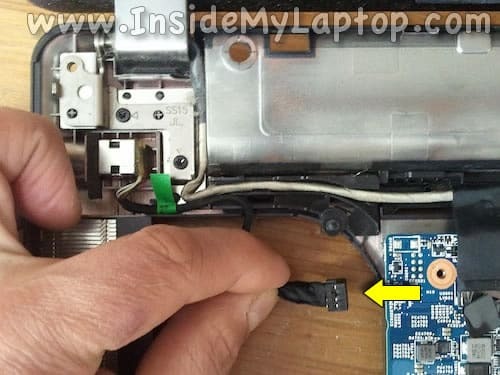 Now you can remove the DC jack harness from the laptop. This is the best instruction I’ve ever received online. It’s very simple to follow. Step 17: Need a T8 wrench, not a T6. I need to replace the CMOS battery. 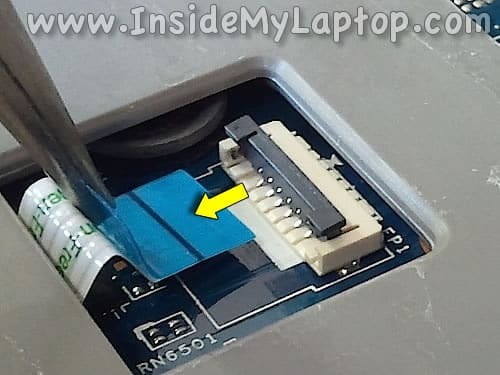 Following your guide, I have the laptop totally disassembled but I still cannot access the CMOS battery because it is under a plastic piece and I cannot get to it. Any idea on how to remove it? Thanks for the wonderful guide – very easy to follow. 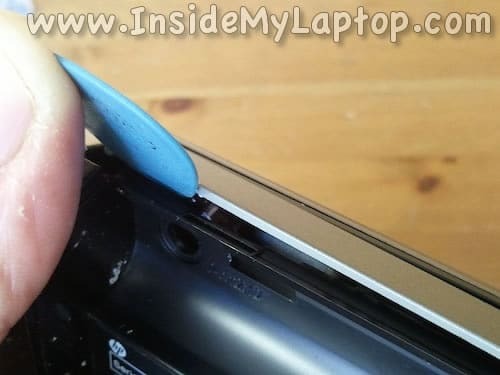 Just stopping in to see how I would open my laptop if necessary.. 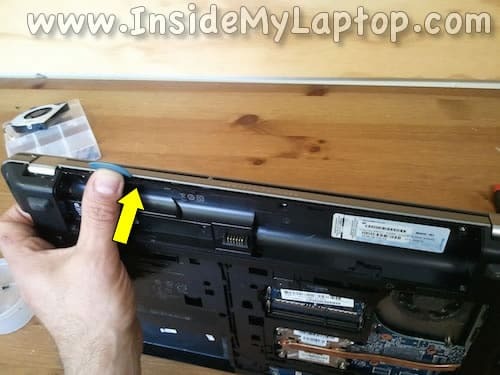 Probably one of the best guides ever for opening a laptop. Super clear, high-res photos that are labeled… Bravo! 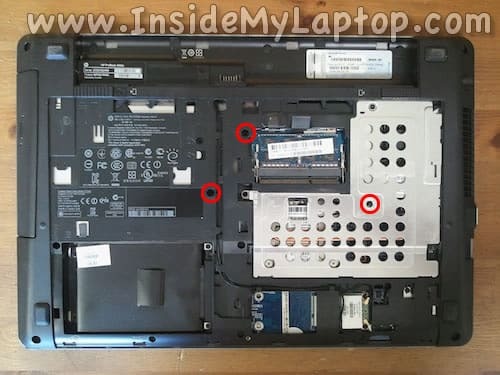 I disassembled whole laptop like explained, however when I turn it on back, I get blank screen with CAPSLOCK LED blinks continuously forever. What could cause this? 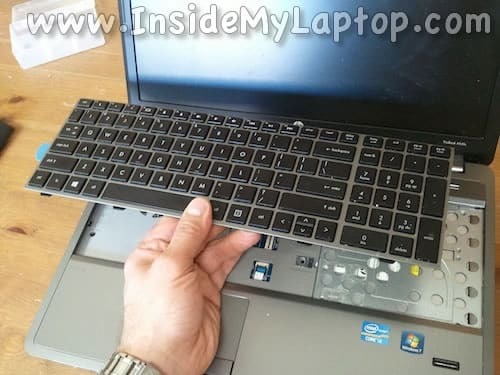 @marie: Did you remove the keyboard screw in the middle of the cooling cover first? See photo in Step 4. Then after removing the other two screws in Step 14, the cooling cover should slide to the side very easily. 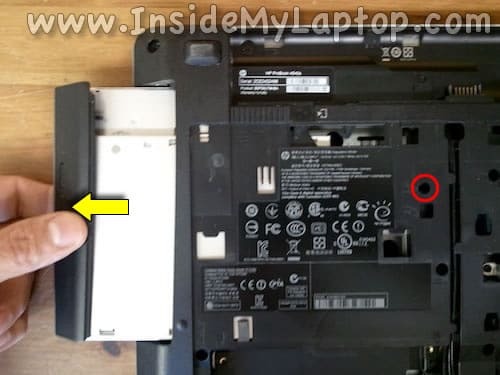 I need to replace the touchpad of hp 4540s from where online I can buy, I am from Europe , and how to replace it. Can you help me. 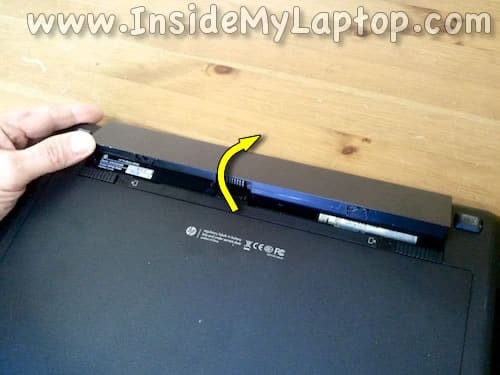 I have a probook 4440s with a broken screen, how do i take out the screen after taking out the keyboard and cover??? Thank you for the perfect disassembly instructions and photos. So helpful. 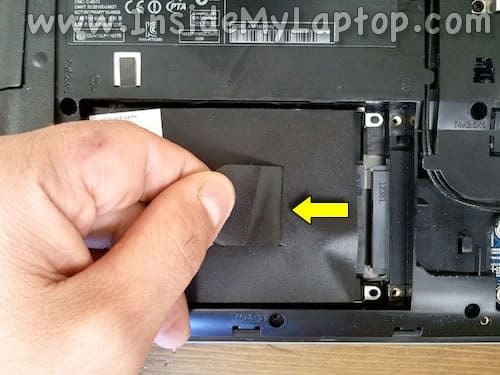 Maybe a note can be added to step 14: If you did not removed keyboard in the previous step, remove also the 3rd screw in the middle of the cover.